Like the Volkswagon Golf, the Laser was a 1970s design classic, but unlike the Golf, the Laser has remained virtually unchanged for 40 years. So what does a true 21st century single-hander look like? Answer: the Supernova MkII. 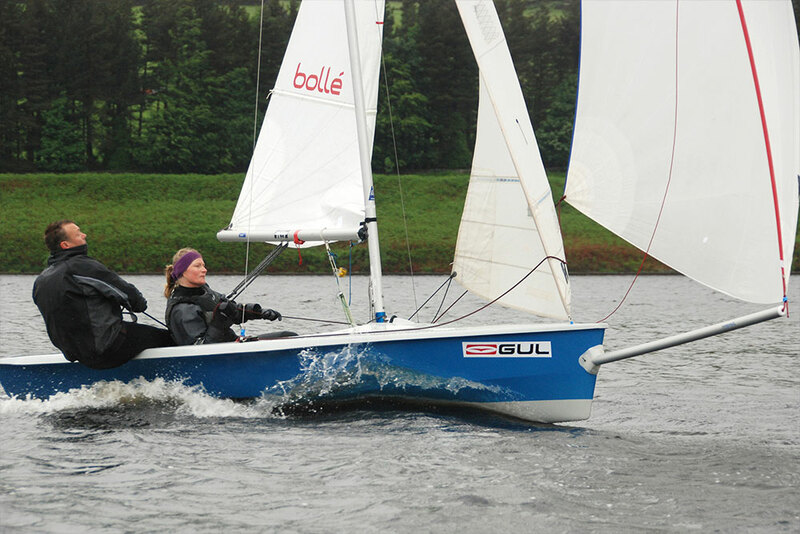 With an 8 metre fully battened Mylar sail on a sleek open transom hull, the Supernova is lighter, faster, more exciting and more comfortable than a Laser, and is hugely popular with confident racing helms. 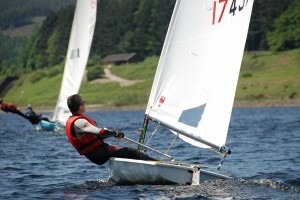 Here at GSC, as in many other clubs around the UK, Supernovas are our fastest growing fleet. What do you sail if you are too big for a Laser or Supernova? 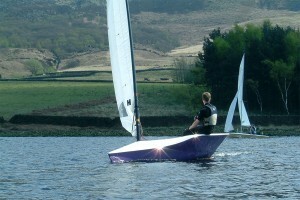 The Phantom is a high performance singlehander racing dinghy for experienced 15 – 18 stone helms. The Phantom has a hard chine hull with a deep ‘V’ bow and planes easily, offering great acceleration in a blow. 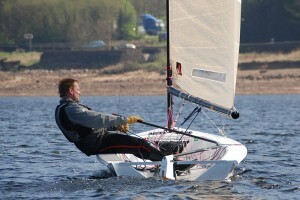 With a lightweight hull and large rig on a stayed mast, the Phantom is the performance boat of choice for the big guys. The Laser 2000 has a high confidence factor thanks to a real ‘sit in’ feel. 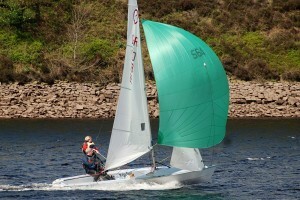 Newcomers feel safe with different power for different winds using the reefing mainsail and furling jib. The Laser 2000’s handling and performance will impress the racing enthusiast and the rig’s versatility allows you to take it easy for a relaxing family day out. 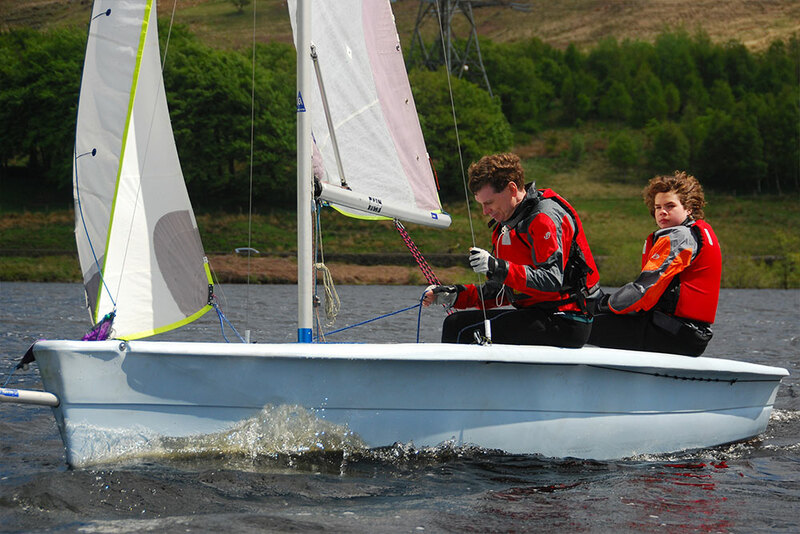 Although heavier than pure-bred racing dinghies, the Laser 2000’s versatility makes it a popular family boat, and second-hand values remain strong. The RS Vision is the perfect all-round family sailboat: it has a tough and virtually maintenance free polypropylene hull, a furling jib and a choice of durable Dacron sail for cruising or a Mylar mainsail with gennaker for racing and performance sailing. 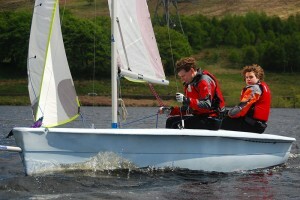 The hull is roomy, stable and great for both leisurely family excursions and high performance sailing. We train our novices in the club’s Visions, and several of our members enjoy their own Visions. 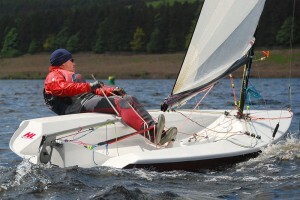 Racing Sailboats’ RS400 is one of the UK’s most popular championship racing classes, in hundreds of sailing clubs and in the hands of both men and women helms and crew. Offering speed and manoeuvrability for agile & experienced sailors, the RS400 delivers maximum power from the large rig for high speed competitive asymmetric rig racing. 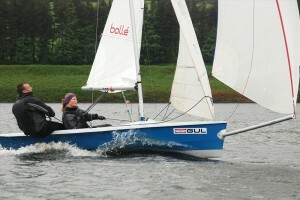 The Javelin is a very fast two-handed racing dinghy with conventional spinnaker and crew trapeze. 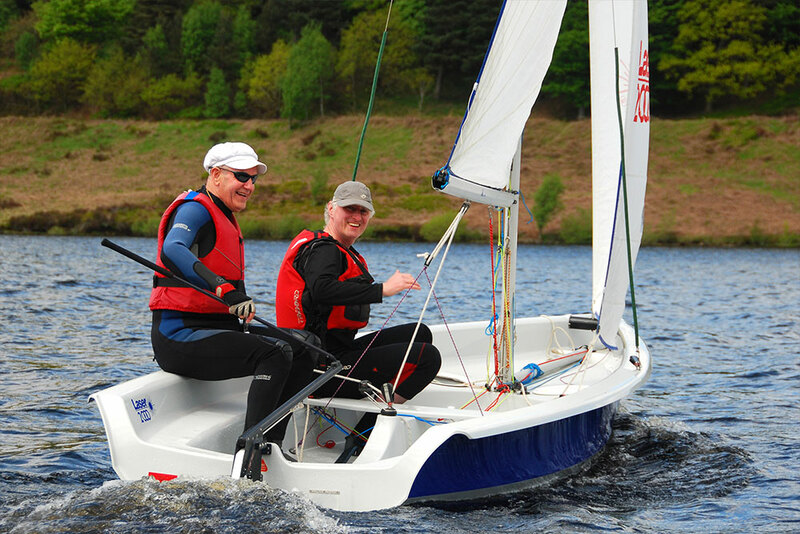 Its large sail area and ultra-lightweight hull gives the Javelin amazing acceleration and allows it to exceed speeds of 25 knots, giving an exhilarating “ride” and exciting fleet racing for the expert, National and International competition sailors in the Club. The RYA Handicap System: our club members have many different dinghies of different speeds and performance. All of them race together, and a Portsmouth Yardstick handicap number is applied to the elapsed finish times to even out the performance between faster & slower boats and allow all our members, regardless of the boat they sail, to compete on equal terms in our race series.